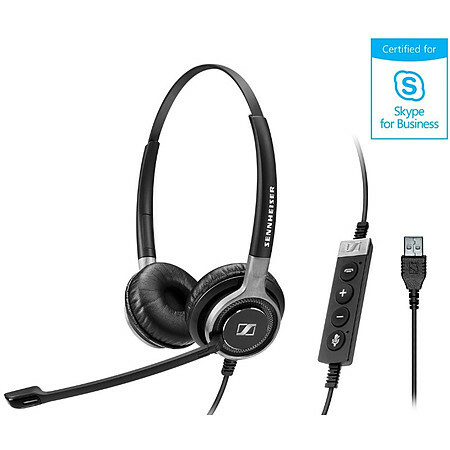 Premium wired Double-sided USB headset certified for Skype for Business. Built to withstand the rigors of the toughest contact center, office or Unified Communications (UC) environment. The SC 660 USB is crafted with high-end materials to Sennheiser’s high standards to ensure maximum durability and design quality. Stainless steel hinges, brushed aluminum parts and Vectran™ reinforced cables for everyday use.